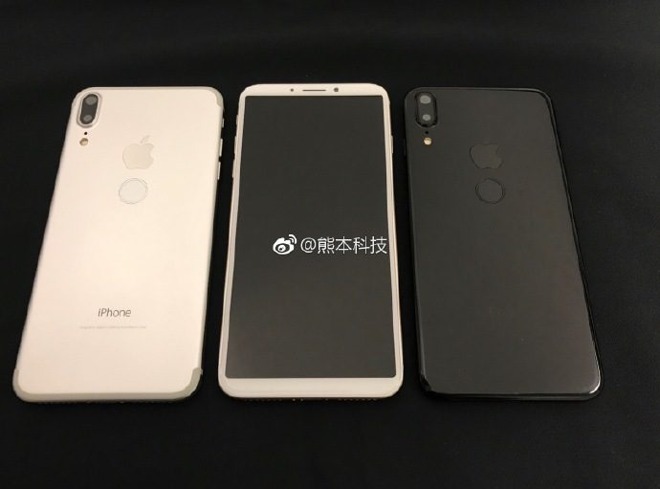 One pair of photos posted to Weibo show a device with a buttonless front panel, and a twin-lens, vertically-aligned camera on the back. Significantly the rear also appears to have a Touch ID sensor, and lack any glass. The "iPhone 8" is typically expected to have a glass back for the sake of wireless charging, and embed Touch ID in its 5.8-inch OLED display. Some earlier rumors did suggest that Apple might resort to a rear Touch ID sensor due to production problems, but those may have been resolved. The images also include a white model in addition to silver, gold, and matte/jet black colors. Apple hasn't sold a "true" white iPhone since 2011's iPhone 4s. 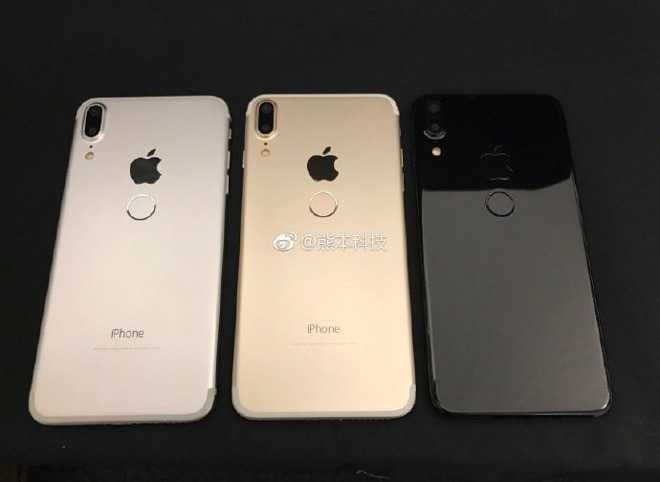 Meanwhile, a render noticed on Weibo by MobileXpose appears to share many of the same traits, but without rear Touch ID. None of the images depict the new iPhone in rose gold, which might imply that Apple is planning to discontinue the color —assuming one or more of the images is authentic. Even if they're not fakes, the phones with rear-mounted Touch ID could still be prototypes Apple abandoned in favor of later designs. The "iPhone 8" should ship later this year, but mass production may have to wait until October or November, putting a crush on initial shipments. In the meantime Apple should have two "iPhone 7s" models using 4.7- and 5.5-inch LCDs, blending some features of the "8" into an upgraded iPhone 7. 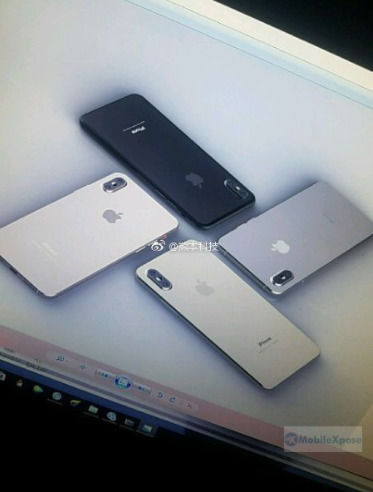 Update: Leaker Benjamin Geskin claimed that the first two images depict a clone product, based on an early Apple prototype.